The landscape of WWE began to shift drastically in 1997 thanks to the bold actions of gritty, hard-edged Superstars like “Stone Cold” Steve Austin, and Bret “Hit Man” Hart was perhaps the most vocal critic of what the WWE Universe would come to know as The Attitude Era. Surprisingly, WWE Universe members continued to gravitate toward the irreverent Texas Rattlesnake and the flamboyant Shawn Michaels, a trend Hart viewed as an affront to his more traditional values. “Hit Man’s” relationship with rebellious American crowds would continue to sour, as an aggravated Hart touted the ethical superiority of his Canadian countrymen over fans in the United States and around the world. Suddenly, the ring general once applauded for his technical abilities became notorious for his scathing commentaries on the loose morals of his fellow Superstars and the crowds that admired them. Hart’s frustration with WWE even prompted “Hit Man” to shove Mr. McMahon to the canvas during an in-ring confrontation on the March 17, 1997, edition of Raw — six months before a Stunner to The Chairman ignited the iconic Austin-McMahon rivalry. As Hart vented to millions around the world on Monday Night Raw, The Excellence of Execution became the subject of controversy behind the scenes as news of his contract dispute with WWE and his impending jump to WCW came to light. 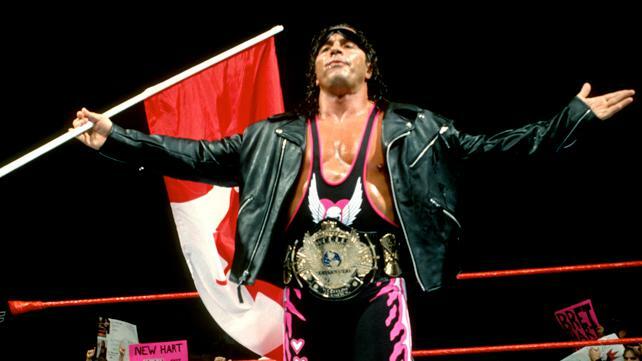 This conflict would reach a boiling point at Survivor Series 1997, where a plot orchestrated by WWE Chairman Mr. McMahon ensured Hart would not leave Montreal with the WWE Title.